It is said that time flies when you’re having fun. For us the statement could not be any truer. In a few weeks, Govgistics Inc. will be celebrating its 6th anniversary and we are so very proud to have had the privilege of serving our members over the last six years and are looking forward to continuing that tradition in the years to come. It seems like yesterday that the idea to develop and implement a better platform, a better manner by which access to relevant information is provided and a member-centric business model was born. I vividly recall those days and better remember being fully immersed in the idea that materialized into Govgistics Inc., intended to be an evolutionary step up in the defense market intelligence and analysis arena. Our beginnings, as exciting as they were, were humble. We built a little here and little there. Our site launched with a version of Contract Bidding and Market Research. 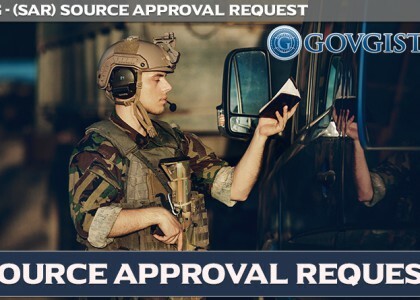 Combined these products made it possible for our members, on the Contract Bidding side of the service, to receive Department of Defense open solicitations based on saved searches and all delivered with FLIS and Procurement History. On the Market Research side, our members had the ability to look up National Stock Numbers (NSNs) by part number, description, most recent award & more and also access H4/H8 CAGE Code information and reporting associated for that company such as NSNs awarded, competition analysis and supplier overlap. We started building a brand, grew our staff from one, to two, to ten and then almost forty. We went from no members to over 800 and things were good. For the next few years, we enhanced the services provided but kept the old design and framework and unfortunately their old limitations. In an environment where exploring, building and deploying new tools means providing more to our members, we unfortunately didn’t hit the mark… and seemingly stopped evolving. It is also said that the reason we fall is so that we can learn how to get up. In late 2013, we learned this lesson in many ways and for various reasons. In order to address these new challenges and with rather than just an evolution as with the original thinking, we opted for a rEvolution. At the beginning of 2014, we put to action the lessons learned, rolled up our sleeves and went to work. By April of 2014, we rewrote the logic on which our technology relies and opened the door to features never before explored. We deployed these changes along with the first major product release we had in years, Data Export Manager. This tool allowed our members to find the needle in the haystack from either side of the service and export the data for various reasons. By July 2014, we deployed our proprietary Batch Search Manager. This product was a built from the ground up with one goal in mind: get our members the data they need, when they need it and fast. This product runs automated searches on parts numbers, NSNs or CAGE Codes and outputs a custom spreadsheet with only the relevant data sought which includes part/NSN availability, full FLIS, procurement history, solicitations against the parts/NSNs/Cage Codes and GSA specific history. By November 2014, we released a brand new desktop and mobile friendly Govgistics.com which included a new UI, new functionality, new tools, new features all built on new code and new architecture. Stellar is an understatement as it relates to how this deployment was received by our members. So much so that we moved up the timetable on deprecating the old site from 180 days to 30 based on greater than 99% of usage coming from the new site. In 2015, we enhanced the overall user experience, tools and data offered to our community to include Casting Provider search with send RFQ function, Global Solicitations Search, Historical Solicitations Search, EMall Sales History and GSA Procurement History – all as standalone modules for specific research and data aggregation by the end user and also integrating the histories to the related product or NSN. We also integrated NSN forecast data and Navy AEL/APL cross reference into every NSN and Bid report. To further enhance productivity and foster intra-company collaboration, we deployed member to member messaging for end users at the same Govgistics member company and the ability to tag or add to favorites relevant bid opportunities. So far in 2016, we have deployed a beta release of the full Navy BOAPL database providing our members the ability to RIC codes to NIINs and CAGE Codes and run full AEL Reports on demand. All of this could not be possible without our members’ support and continued suggestions for the features they need to make full use of the available data. For that, we thank you. The last six years were fun by any standard, albeit coupled with some challenges for some of which we were not prepared but through which we persevered. This helped us grow our commitment to you to continue to provide you with that for which you ask. We are coming up on six years of service with over 2500 member companies and are so excited at the prospects of what happens next. We are humbled by our journey and continue to be honored by your commitment to stay with us. Without you there is no Govgistics Inc. and we thank you. @Govgistics #rEvolution.